When it came time to test one of the most successful product launches to come from Hormel Foods in recent years, company officials went right to the experts. Kids at I.J. Holton Intermediate School, located near the Hormel Foods World Headquarters in Austin, Minn., were tasked with giving SKIPPY® P.B. Bites an honest review. Fortunately for the grownups, the snack received an enthusiastic thumbs-up. What has followed has even the most ardent supporters at Hormel Foods pinching themselves. Not only has the strength of SKIPPY® P.B. Bites been instrumental to the growth of the SKIPPY® brand, it demonstrates that true innovation drives results. The challenge put before the SKIPPY® brand team was to take peanut butter out of the jar. Company leaders didn’t mean eating it by the spoonful (or dipping the occasional finger into the creamy or crunchy goodness), though who among us hasn’t caved to the temptation? Their call to action was more unusual: Find a way to market and sell peanut butter without a jar. Enter SKIPPY® P.B. Bites, a product that is meeting the expectations of everyone, including the tough-to-please middle school crowd. In addition, the industry has stood up and taken notice. 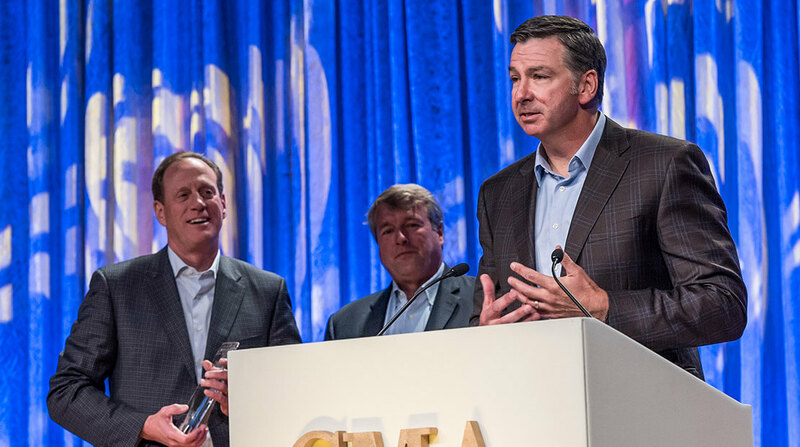 In September, Hormel Foods was tapped for the Grocery Manufacturers Association’s (GMA) CPG Award for Innovation and Creativity for SKIPPY® P.B. Bites, following an impressive group of previous winners such as Coca-Cola (“Share a Coke” campaign), PepsiCo (Frito-Lay’s “Do Us a Flavor” contest), Campbell Soup Company, General Mills, The Hershey Company and others. The award, which was handed out at GMA’s 2017 leadership forum, is designed to recognize creativity and a willingness to take risks, resulting in measurable results and significant impact on the industry. When Hormel Foods acquired the iconic SKIPPY® peanut butter brand in 2013, it wanted to find new ways for consumers to enjoy the product. Research at the time revealed that snacking represented around 25 percent of overall peanut butter consumption, but there were limited ways to enjoy peanut butter when on the go. In addition, consumers were looking to give their kids snacks that they could feel good about, from a brand they trusted. Never daunted by a challenge, Hormel Foods employees got to work on diversifying SKIPPY® peanut butter products, in the end coming up with the concept for SKIPPY® P.B. Bites. The goal of the project was clear: Take SKIPPY® peanut butter out of the jar in an innovative and new way consumers would enjoy. Thus began the journey to the successful new-product launch. Initial concepts were illustrated and prototypes created. The team held a series of in-person consumer advisory panels made up of kids ages 10 to 12 and their moms. Who better, after all? The team also tapped other subject-matter experts, such as the aforementioned students at I.J. Holton Intermediate School. Armed with plenty of the delicious nuggets, Hormel Foods employees studied students’ reactions to several varieties. Double Peanut Butter and Pretzel emerged as the strongest varieties to launch with. In addition, the students helped the team understand the optimal size for the snack, as well as the concept of “hangry” moments. 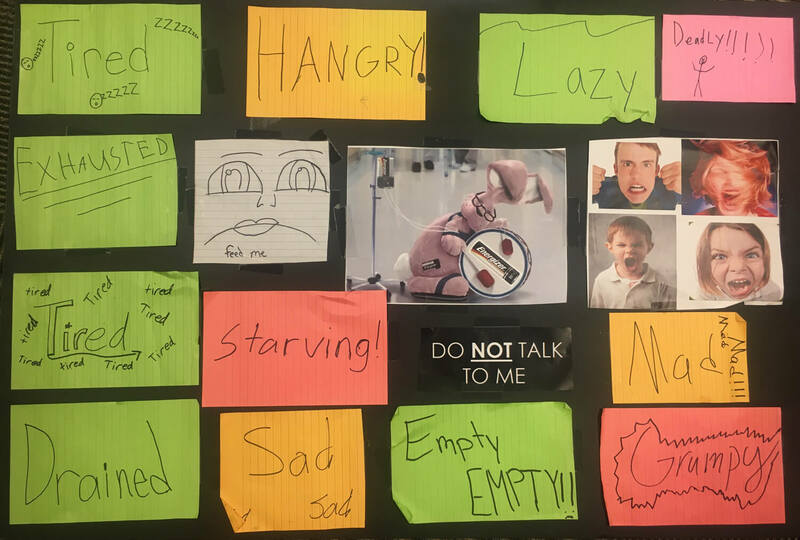 Students expressed that after school, they felt “tired,” “empty,” “mad” and “drained.” With those emotions in mind, the team set out to create a snack that would tackle those issues. The concept was for the snack to be simple, fun and able to be eaten anywhere at any time. Mood board created by students at I.J. Holton Intermediate School in Austin, Minn., expressing how they feel after a long day at school. Although initially skeptical of anything that might change the SKIPPY® peanut butter they loved, test results showed that regardless of age, consumers were enamored with the snacking transformation and saw the product as a real SKIPPY® peanut butter experience fit for the whole family. Additionally, SKIPPY® P.B. 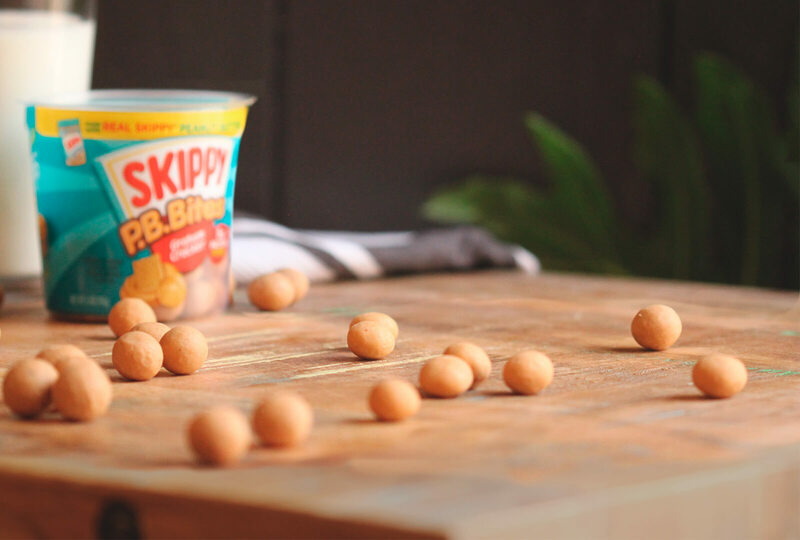 Bites perfectly aligned with the Grocery Product division’s priority to “ignite SKIPPY®” and one of the company’s key growth pillars: solving for the on-the-go eating occasion. Furthermore, SKIPPY® P.B. Bites are differentiated from the competition and are a testament to the fun eating experience that stays true to the strategic fit of the brand. Since launch, SKIPPY® P.B. Bites have expanded to two new varieties, Graham and Granola, and can now be found in club-size pouches in various club stores throughout the country. 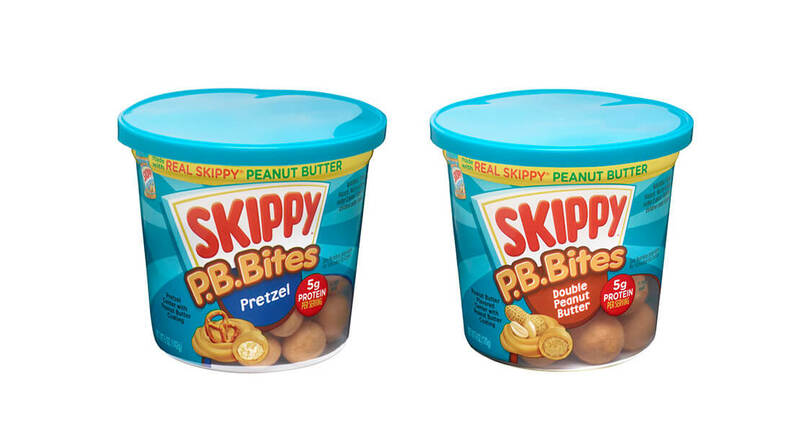 Building upon the company’s heritage of innovation and quality, the SKIPPY® brand continues its efforts to bring innovative, on-the-go peanut butter snacking offerings – both in and outside the jar – to consumers. While the team at Hormel Foods successfully took SKIPPY® peanut butter out of the jar, people like Scott say it’s just the beginning.